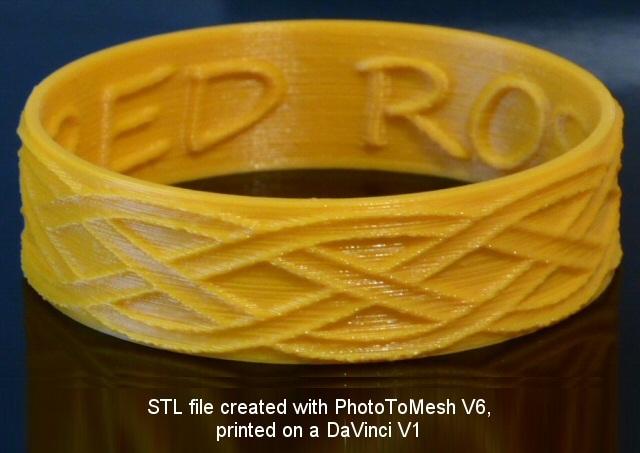 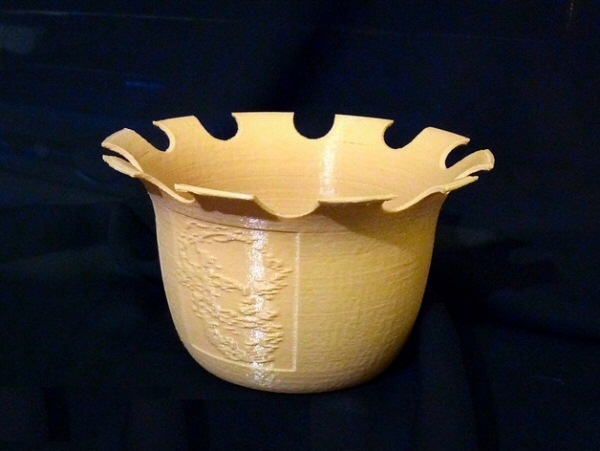 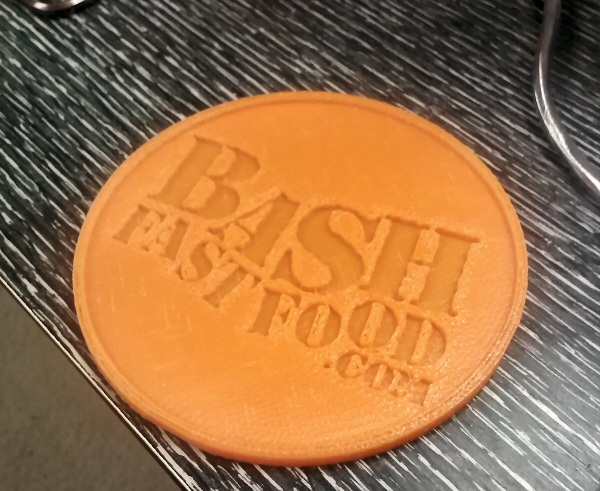 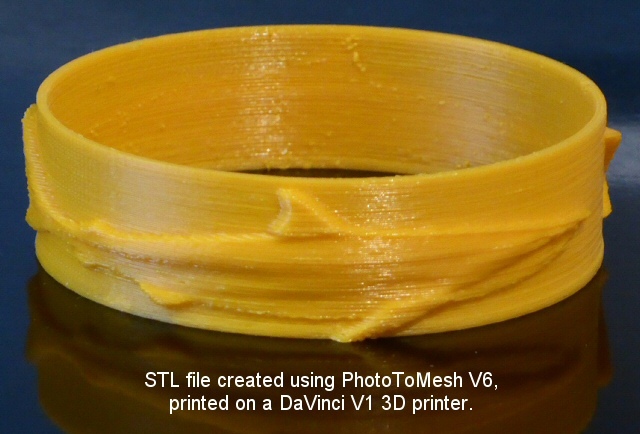 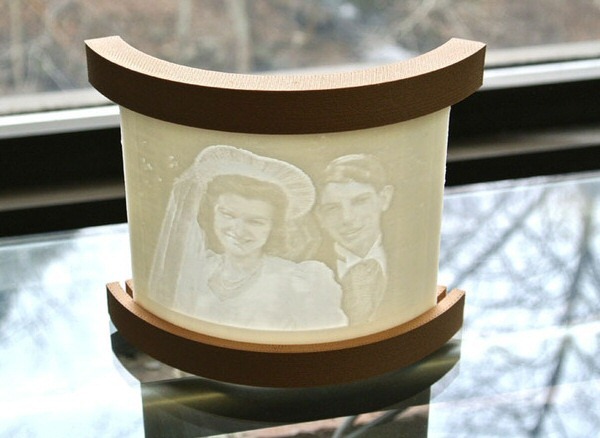 Gallery of objects created with PhotoToMesh and 3D Printers. 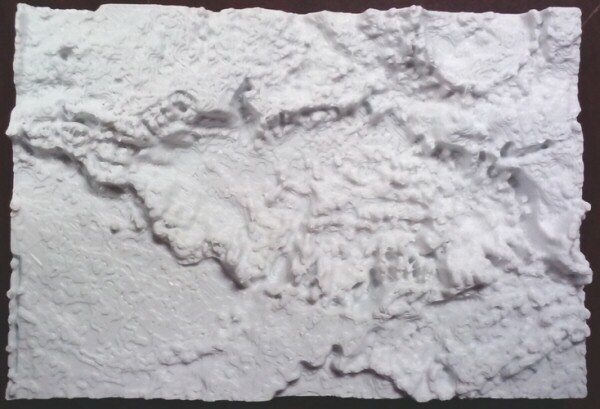 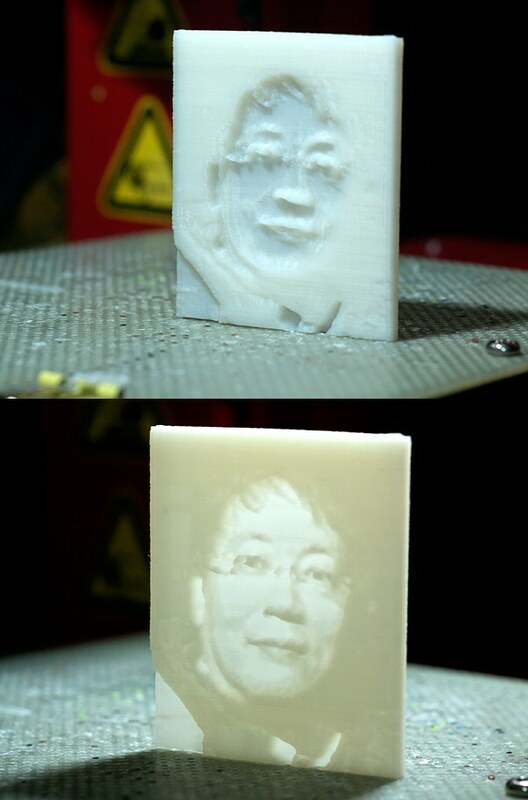 Jungseo Park sent this great photo of a lithophane created with PhotoToMesh, front lit (upper image) and back lit (lower image. 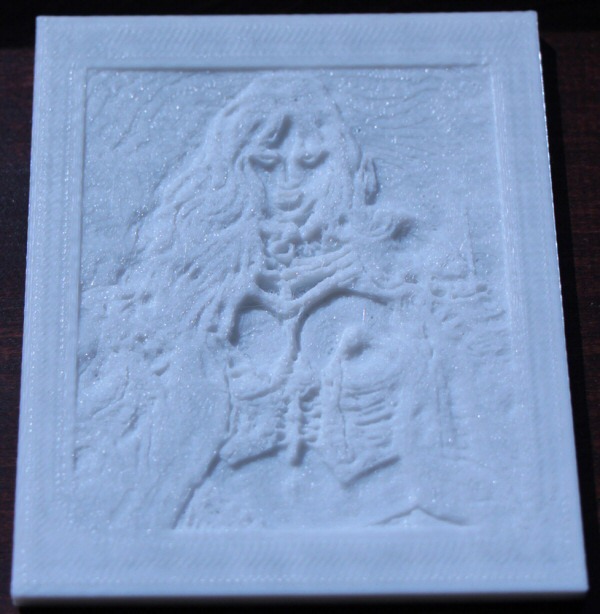 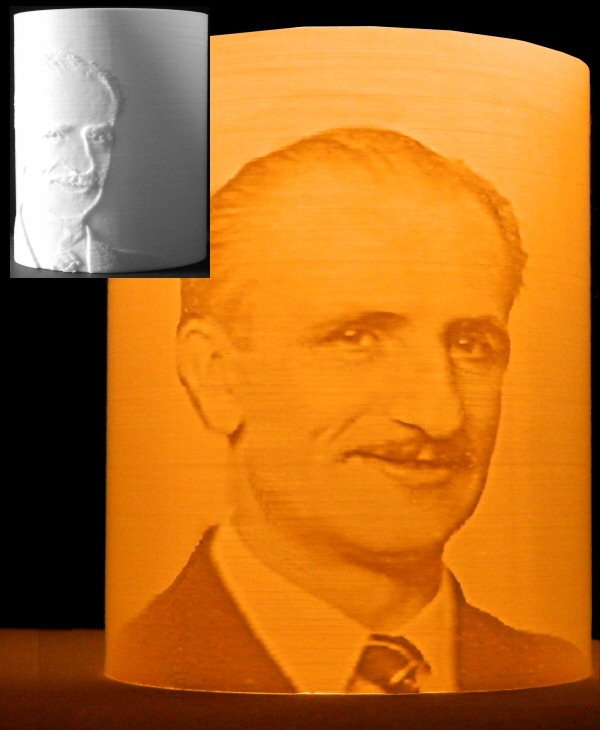 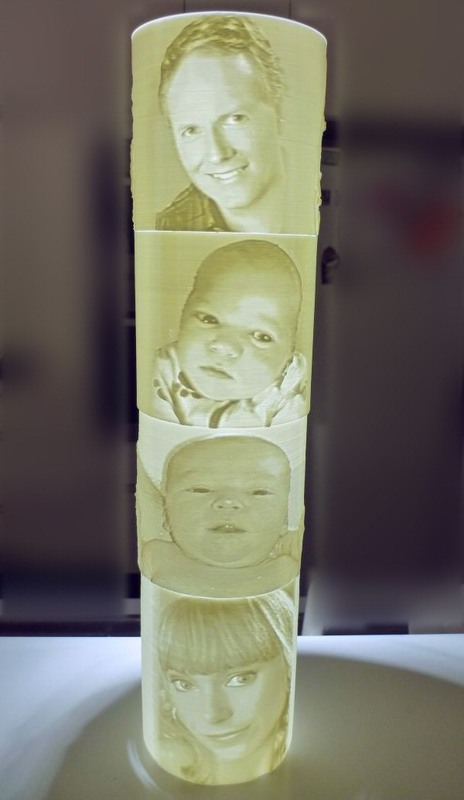 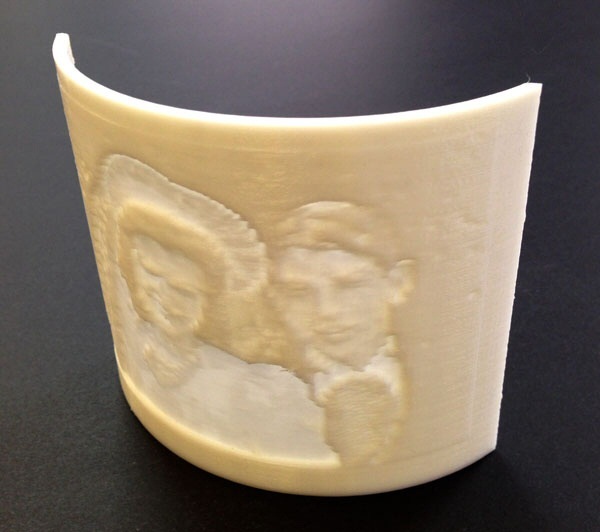 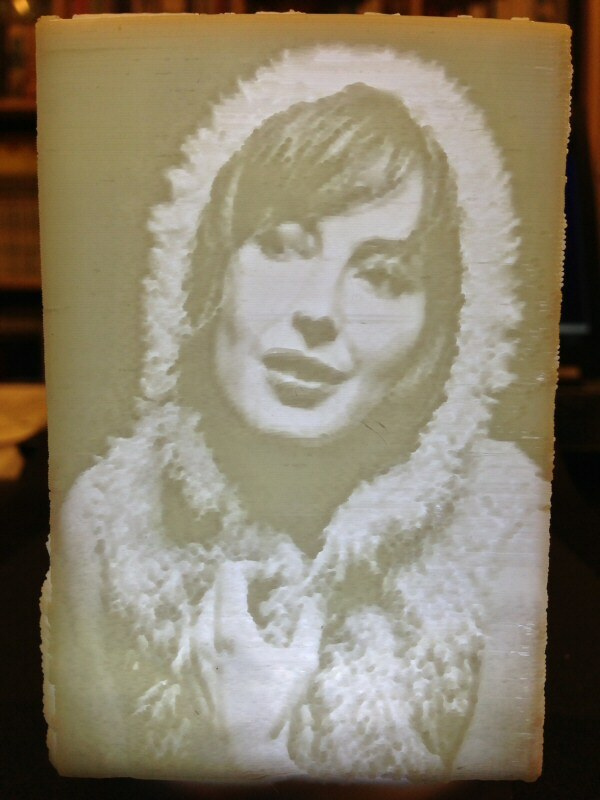 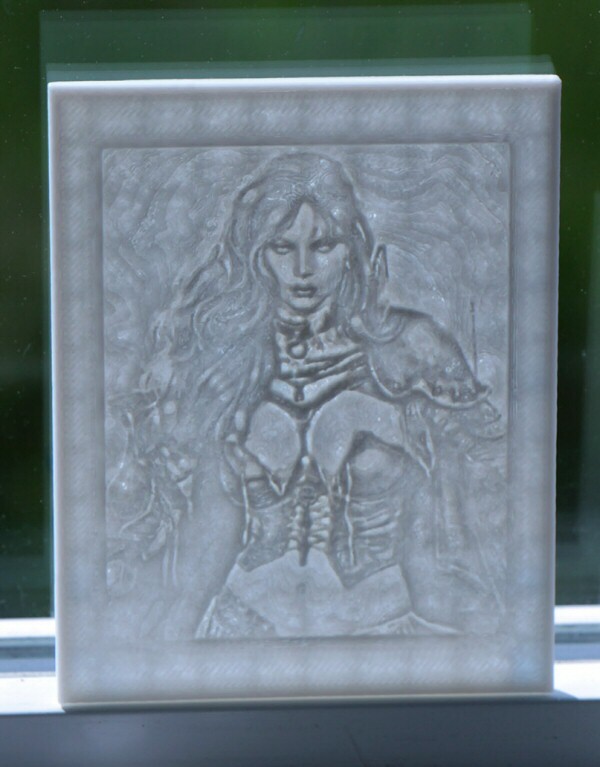 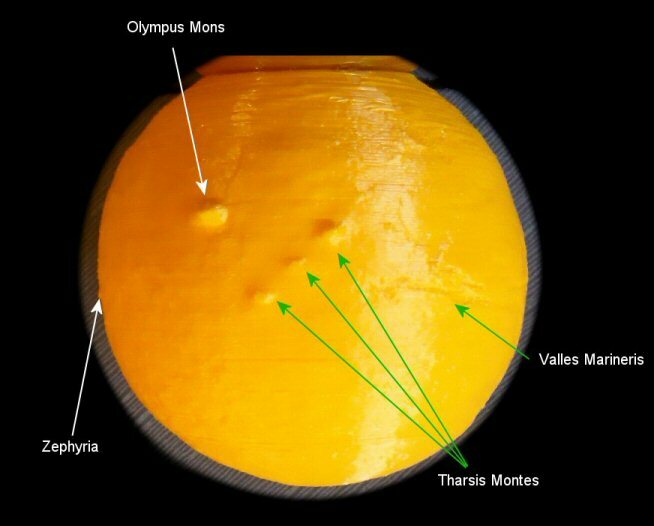 Sarah Lin created this with PhotoToMesh using the cylindrical lithophane settings. 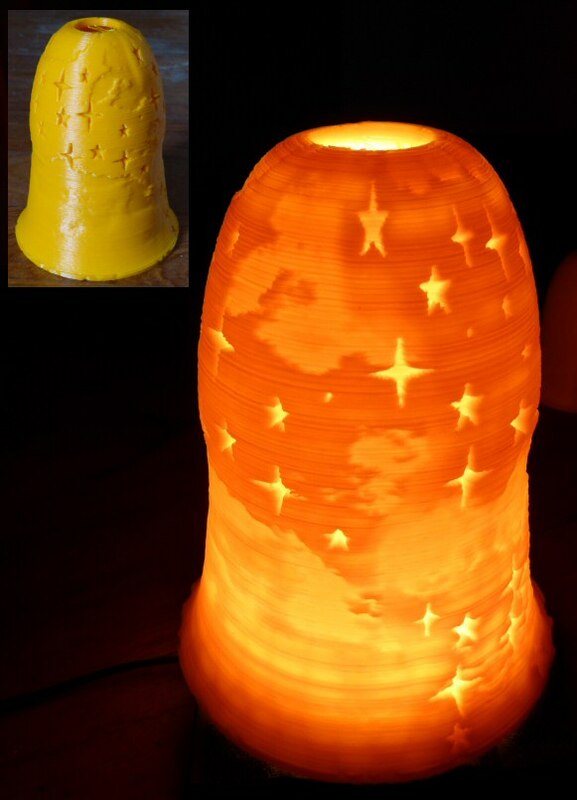 It is lit internally.